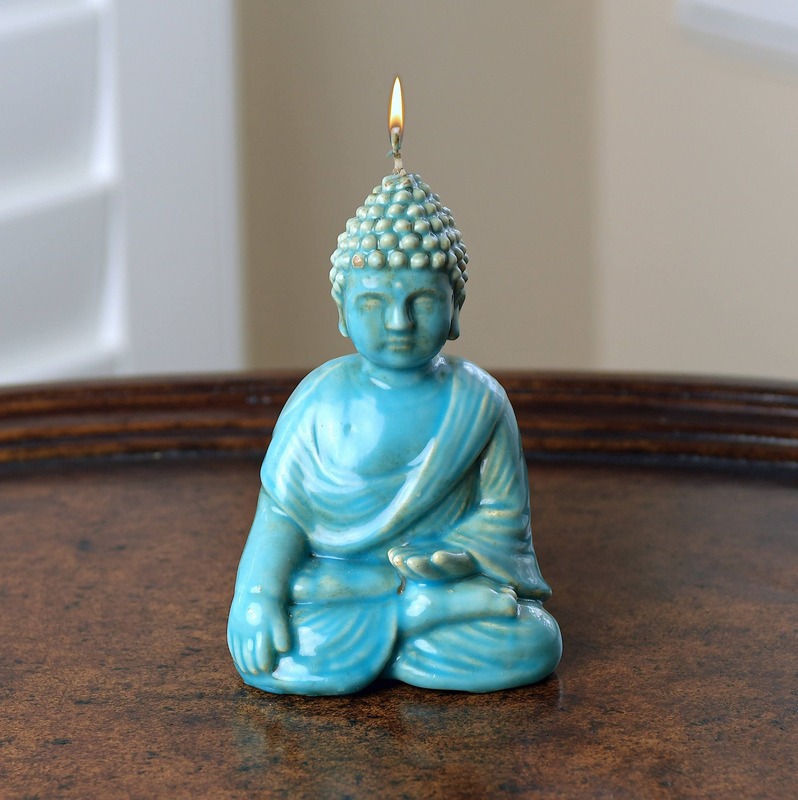 A very unique candle, the beautiful Buddha has a ceramic like finish in turquoise and incredible detail. It's a gorgeous piece and the finish makes it look exactly like a ceramic based statue. Well worth the money! You can use it as a Buddha statue to decorate your yoga room, meditation room, or your home. Pair up with one of our Lotus Flower Candle holders.